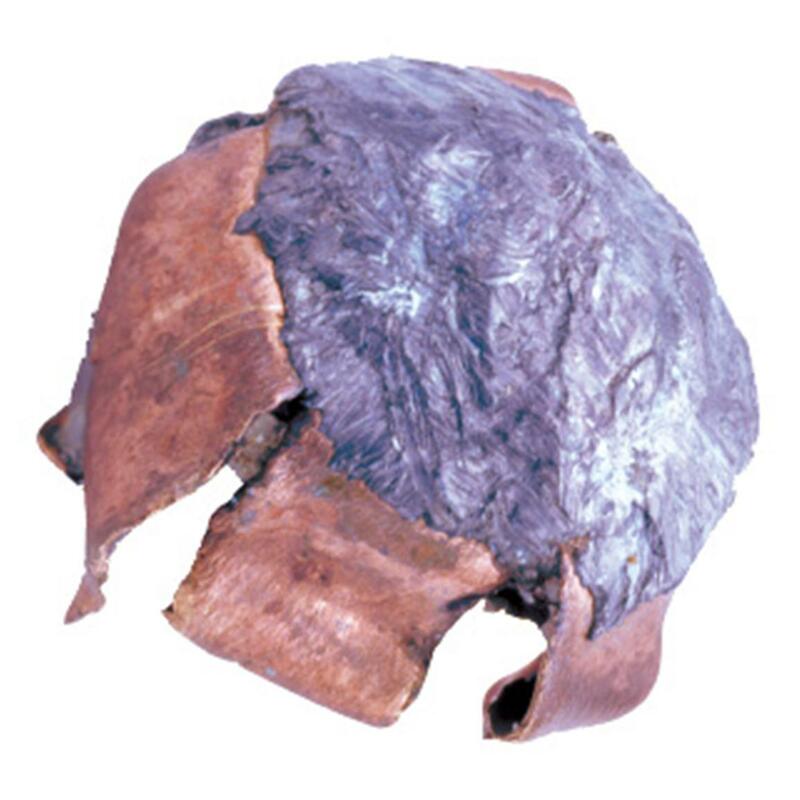 Grain Weight : 200 Gr. 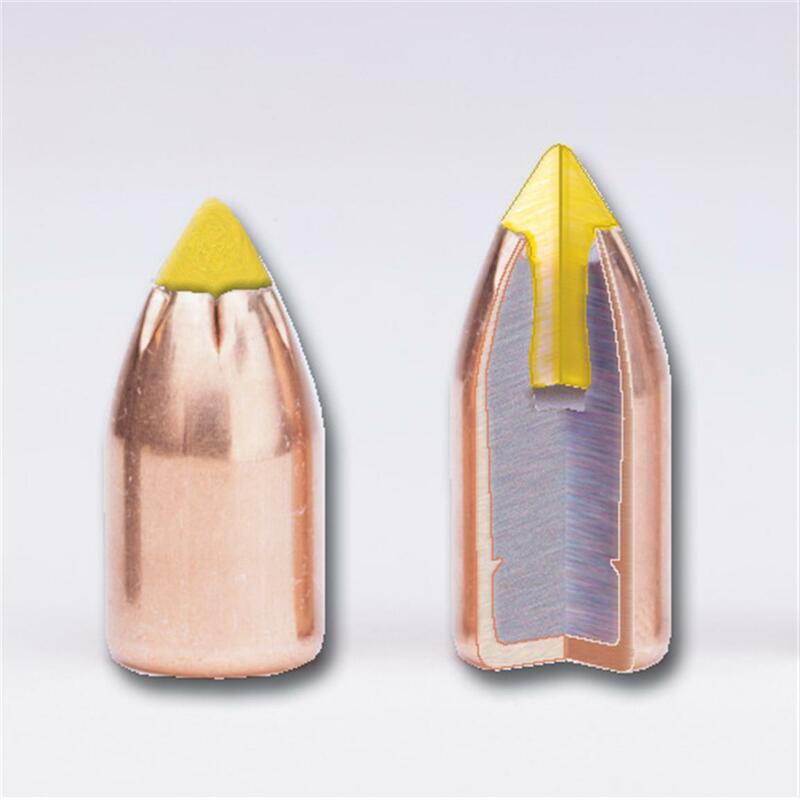 Thompson / Center Arms® Shock Wave Sabot Bullets. Meets the standards of your muzzleloader... order ONLINE today! 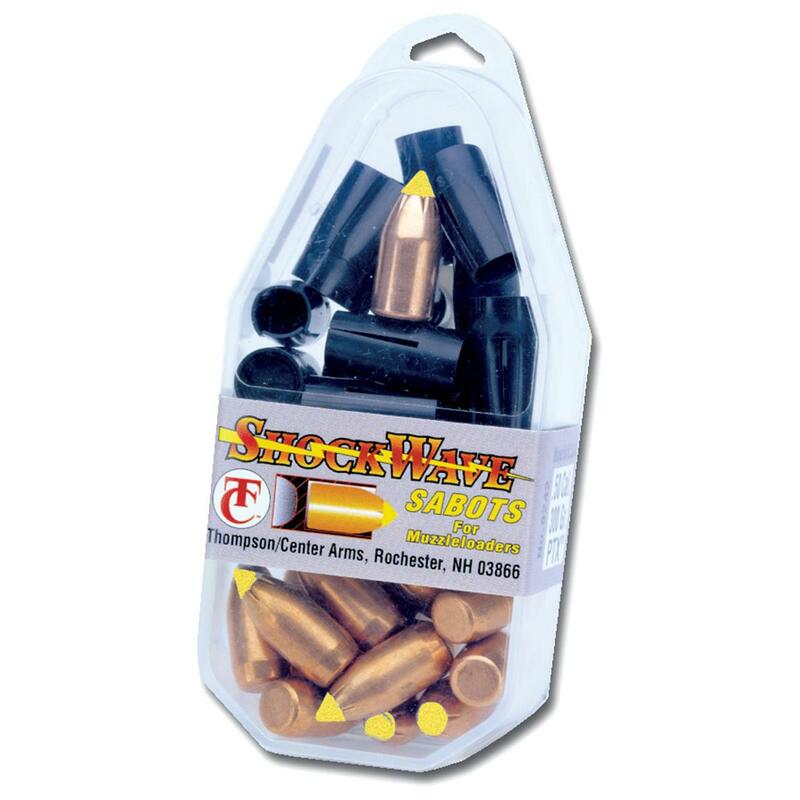 T/C Arms, .50 Cal., Shock Wave Sabots, 200 Grain, 15 Rounds is rated 5.0 out of 5 by 7. Rated 5 out of 5 by Philgumbo from Thompson Center T/C Arms Shock Wave Sabots I haven't tried them yet, but I bet they work just fine. Wanted to try a lighter weight sabot; my others are like 285 grain, and though punchy, they drop faster. These should shoot flatter, giving me a little more accuracy over a longer shot. Rated 5 out of 5 by fred1586 from Best performance for T/C Omega This is the best performing round and weight I have found for my Omega using 2 50 gr triple seven pellets. Zero at 100 yds, drops 3-4 inches at 150 yds. Don't shoot any further personally. Rated 5 out of 5 by Glen WV from My favorite bullets for deer TC Shock wave always shoot well for me. Not as easy to load as some bullets. 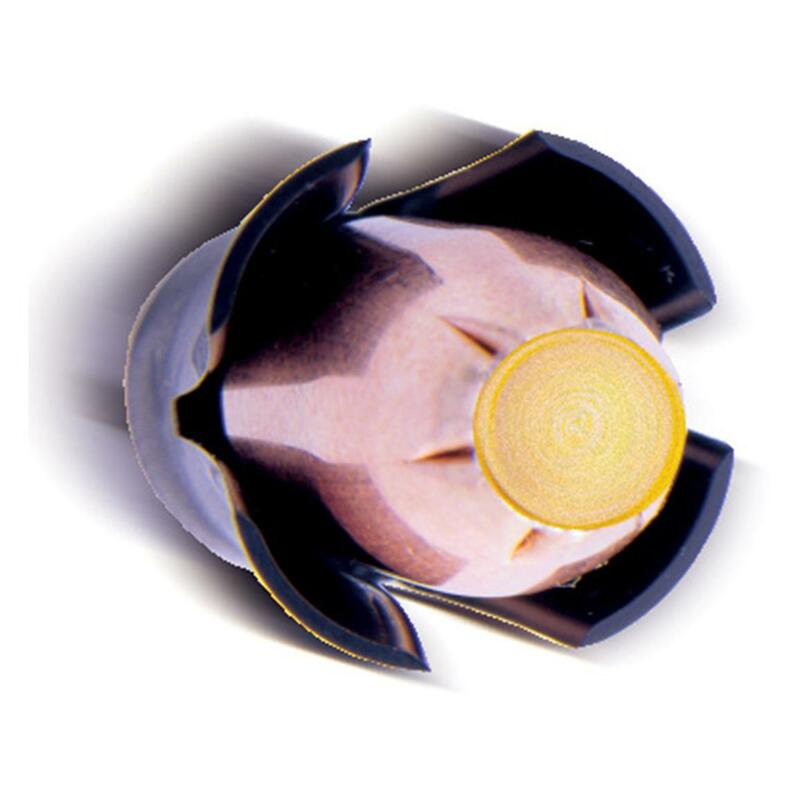 Rated 5 out of 5 by Gator from perfect 200-300 yd deer loads Have been shooting 250 gr. shockwaves for a few years with my TC Omega .50cal with great results. Recently started hunting more open area with 2-300yd. shots being presented often and decided to which to 200's and see how far I can stretch the rifle. Consistent 2" groups at 200 yards with 2 Triple 7 Mag. pellets and cleaning between every 3 shots. I went from 7" low at 200yds to ~1" low at 200yds going from 250 to 200 grains. I changed my scopes zero to 200 yards and only hit 1.5-2" high at 100 yards...VERY flat trajectory for a muzzle loader. 300 yards is still a BIG drop from 200... probably on the order of 20" or slightly more grouping about 4-6". Will be switching to Nikon Omega BDC muzzle loader scope next season and working playing with powders and sabots to fine tune the 300yd. shots. Only downside is the sabots with these bullets are VERY tight fit especially after a couple shots, you really gotta work to get them loaded, should be easy fix with some experiments with other sabots. 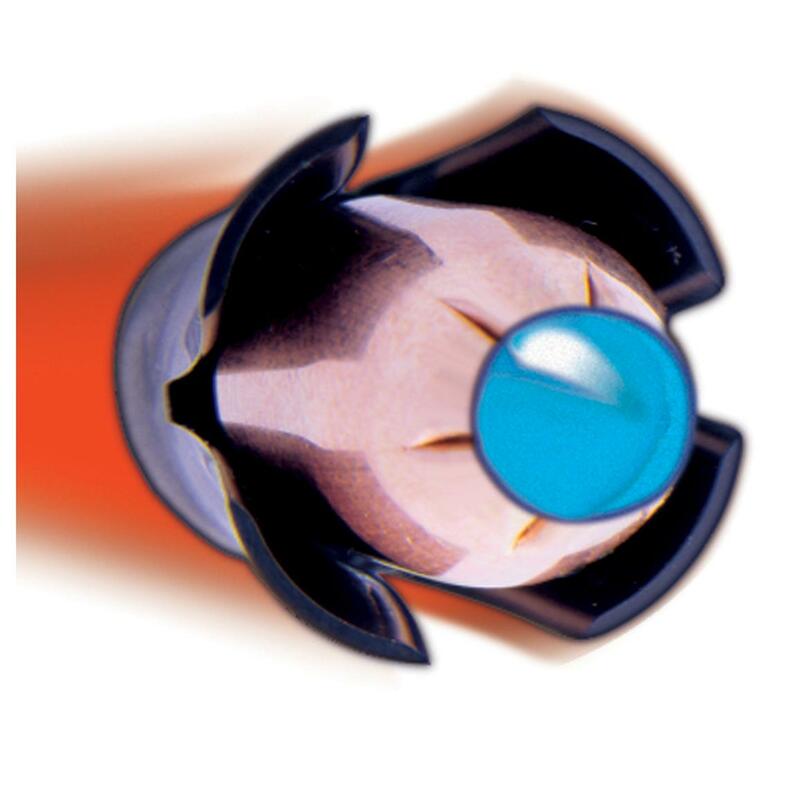 Rated 5 out of 5 by ALVIS from These bullets put nice holes in things. Rated 5 out of 5 by ROGER from Great price on some great ammo! Thank you Sportsman's Guide. Rated 5 out of 5 by PHILIP V from I bought these sabots last year and they are very accurate.Well worth buying.